The main channel is being restarted and updated with version #17.09.14.508549. The updated is described in the release notes as; Improvements to address some problems that could degrade simulator performance in rare cases. I think these are the fixes for some of the recovery problems we see after the SL system goes down. Users attempting to login in mass after an outage create a rare and unique set of problems for the system. Blue Steel and Le Tigre are possibly going to update, but maybe not. As of this morning as I write the Lindens have not decided. Magnum is getting #17.09.22.508905. This is an update described as; Improvements to email verification logic. My understanding is a hand comes out of the screen, grabs you by the neck and shakes you, then compares your face to the one DMV has on file… The improvement is in the system response message being updated from ‘Yeah, it’s them’ to a stately ‘Verified’. …Actually… I have no clue… But, from the Server-Scripting meeting today the word is this is part of the change that will eventually refuse to send email to unverified email addresses. For now, they are still sending. But, someday. There also have been some glitches with the Glytch creatures. I suspect lots of people are playing the new game. So, this may be an overload thing. It will be interesting to see if stores start adding Glytches to their regions to attract people. The main viewer remains 5.0.7.328060. The last update was week #35. Second Life Alex Ivy Viewer version 5.1.0.508209 – No update since week #37. I expect to see an update this week, but what do I know? Word from the third-party dev’s meeting is this version is getting close to being promotable to the main viewer. Second Life Maintenance Viewer version 5.0.8.329115 – New this week, previously updated last week #38. Second Life Voice Viewer version 5.0.8.328552 – No update since week #36. 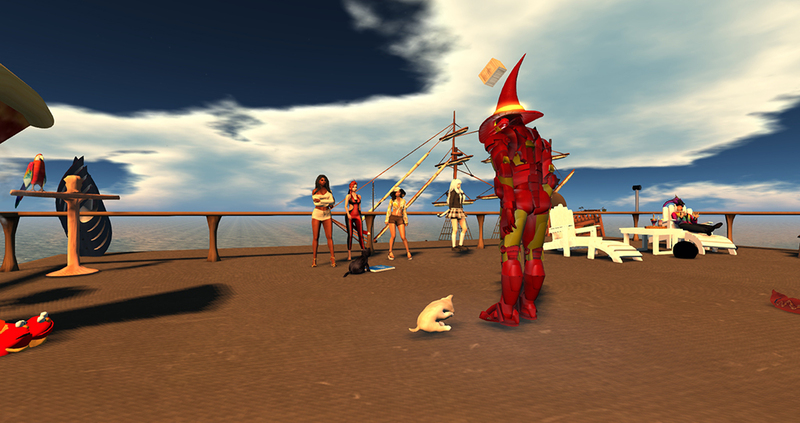 Second Life Wolfpack Viewer version 5.0.8.329128 – Updated last week and again this week. This is the enhanced data collection version of the main viewer. Second Life Project 360 Snapshot Viewer version 5.1.0.506743 – No update since week #27. We are told people (or person) are working on it.